As I mentioned in yesterday's post, this week is has a resolutions theme (sort of...) I don't really do resolutions, but do think of January/ the new year as a time to reflect and make little (or big, you do you...) changes to be the best and happiest version of you. You know? Something I know a lot of people are trying to do this year is take better care of their skin. As a skincare fan, I can totally get behind that. The thing is it takes time. You know that. We all know that, but seeing results makes it all seem so much more worth while. What to do? 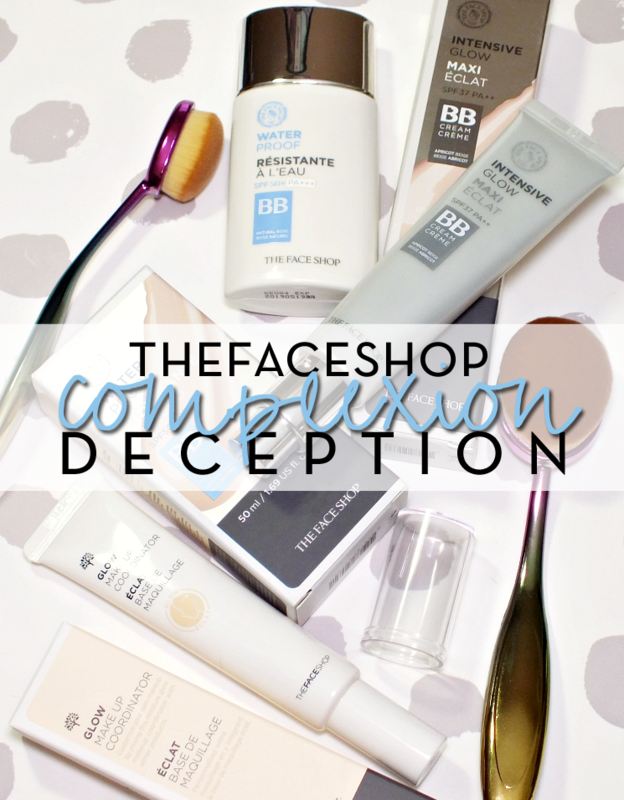 Fake it 'til you make it, obviously- an act of complexion deception. BB cream is an excellent way to give the appearance of perfected skin without the feel or look of a typical foundation. 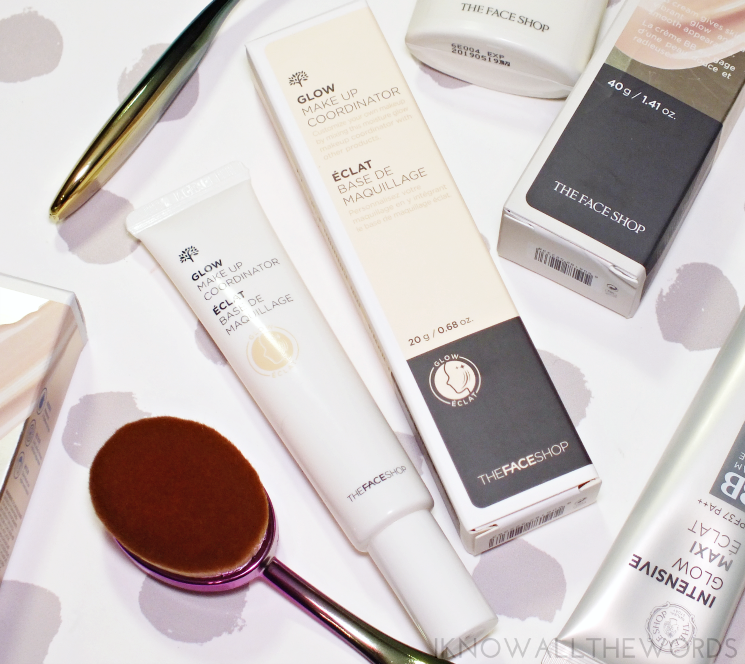 THEFACESHOP has a few varieties, with the Intensive Glow BB Cream being a good option for most. The cream formula is quite hydrating (it's formulated with a built in moisturizing serum) that works to even skin tone, brighten, and add a natural looking 'healty-glow', Normally the healthy glow term means a warm or bronze-y tint, but this lacks that, and instead gives skin a perked appearance that is free of any shimmer or visible 'glow'. It does offer SPF 37 PA++ for added UVA/B protection. This BB looks like it's only available in one shade, Apricot Beige, which I find to be a perfect shade for my light skin. Like most Asian BB creams, the shade does mesh with your own skin tone, so this will suit various shades in the pale-light/ light medium family, but unfortunately there are no options for deeper skin tones. The finish isn't as dewy as I expected, and is more natural (as in not matte, but not shiny/dewy) and gives skin a fully natural but perfected look with evened tone, a bit of added brightness, and blurred imperfections. Coverage is light-medium and easy to build up where ever you need a bit of added cover. A second option from THEFACESHOP is the Water Proof BB. While this will work for most skin types, this liquid BB is designed to work well on oily skin or in warmer weather as it is water, sweat, and sebum resistant to keep skin looking naturally matte and feeling fresh all day. The added bonus with this BB is it also boasts SPF 50 PA+++. The formula is extra light with a watery texture (much the same as a fluid sunscreen) and light coverage. While this will keep skin matte throughout the day, it's a natural matte finish that isn't flat or dry and doesn't bother drier skin. I can use this on my drier skin without issue and find it applies without showcasing dry areas. The liquid blends into skin impeccably and evens skin tone and blurs the look of imperfections. I do find this to be build-able, but for obvious blemishes you're going to want to reach for concealer as the coverage just barely reaches medium when layered. This is available in two shades. Apricot Beige and Natural Beige (the shade I've been using) and while Natural Beige looks deeper when swatched, it seems to match my skin as well as Apricot Beige in the cream BB. 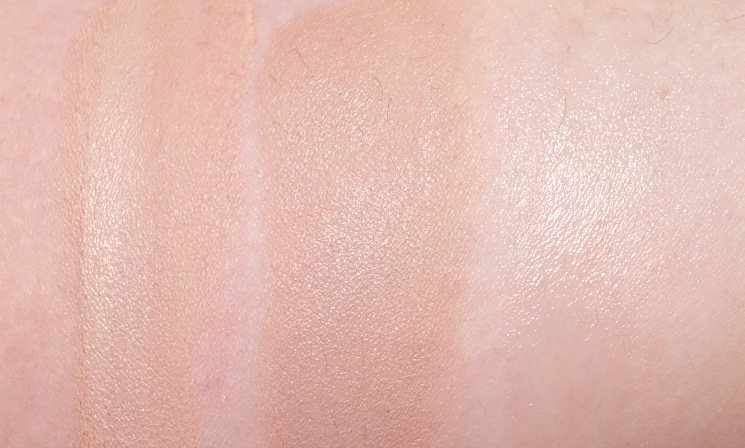 Apricot Beige is more pink in tone, but as is the case with most Asian BBs, the shades aren't as opaque as foundations and thus mesh with your own skin more easily.When I half and halved the two on my face, the difference wasn't noticeable. Now, oily skin types may not be fans of this, but for drier types this is pretty amazing. I have a few matte foundations that I quite like, but my skin is not always up to the matte formula and this transforms the finish nicely without altering the wear too much when mixed in or applied as primer. Overall, some excellent options from THEFACESHOP. 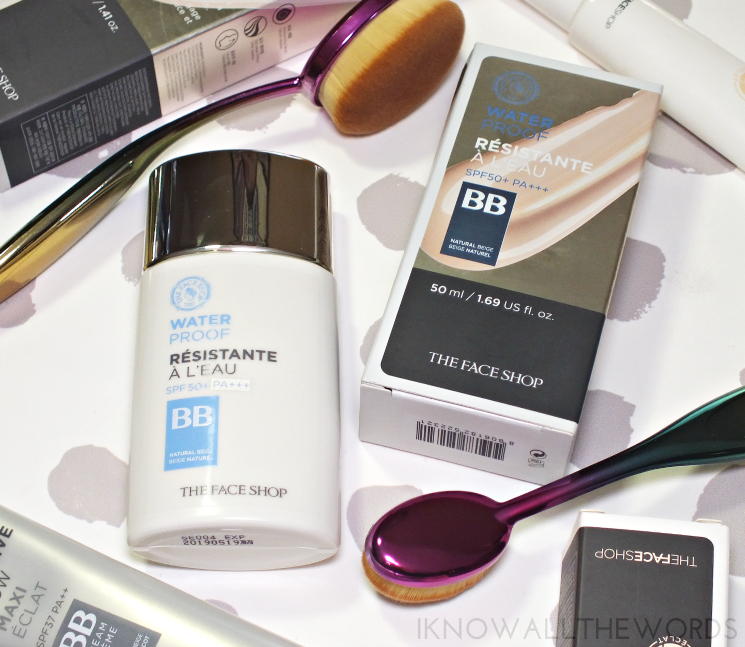 I love BB cream as an everyday base as it gives a natural look and allows skin to be skin- if you're going to work towards better skin why mask it with heavy foundations, right? What do you think? 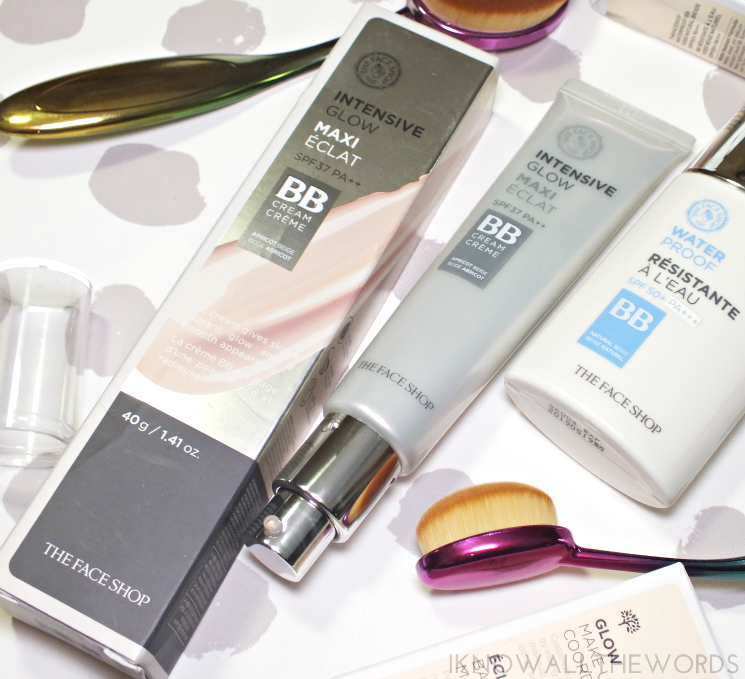 Are you a BB/CC/tinted moisturizer fan? Tried any of these products?